The challenge of grilling an egg is holding it perfectly upright. Whether you are cooking it on an open fire, a portable grill or camp stove you still have to support the egg so the contents don't spill out. This precision machined support ring does just that. Not only is it ridiculously lightweight because it's machined from aluminum. Best of all it's free! Where to find the precision machine egg holder? The precision machined egg holder is found inside old 3.5" IDE Hard drives. Simply open up the hard drive and take it apart. Inside you will find this perfectly machined ring that probably has never been contacted by human hands before. It's super lightweight and fits perfectly inside your mess kit. If you haven't ever had a grilled egg, you are missing out!! The texture and flavor of a grilled egg is unlike what you have from a pan fried egg. The texture is creamy and flavorful. Look in the recipe section for our how to grill egg recipes. 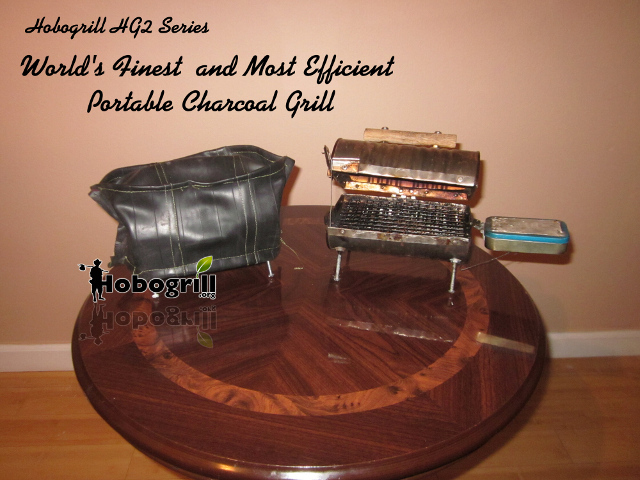 Worlds finest, handmade improvised charcoal grill: The Hobogrill® HG2-Deluxe with Hobogrill® mini grill cover sewn from a bicycle innertube. Handmade in the USA. ©Copyright 2012 - 2016 Sanghi Labs LLC and Hobogrill.org, Hobogrill® is a Federally registered trademark of Sanghi Labs LLC, All Rights Reserved.